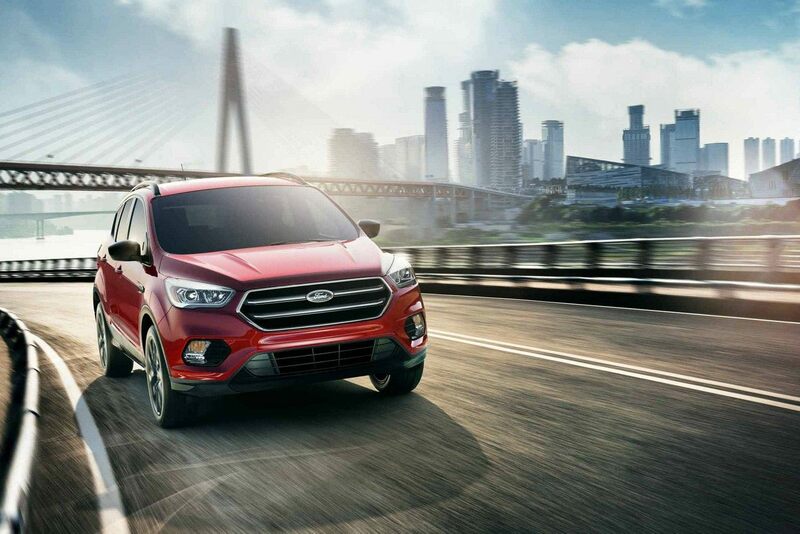 If you are looking for a great family car the 2018 Ford Escape is the car for you. With enough seating for 5 and a spacious trunk, you can take your entire family on any adventure. Stay entertained with the SE’s Voice-Activated Touchscreen w/Navigation System and Apple Car Play. Imagine controlling calls, music and more with just a touch and your voice. SYNC® 3 lets you keep your hands on the wheel while it quickly responds to your spoken requests. Or use the responsive touchscreen in the center of your instrument panel to access its many helpful features. Bring the power of Siri® into Escape with Siri Eyes Free and your paired iPhone.® The system also features 2 smart-charging USB ports to help keep your devices powered up and ready to go. Go with EcoBoost® power and efficiency. Intelligent 4WD and up to 3,500 lbs. of towing capability. 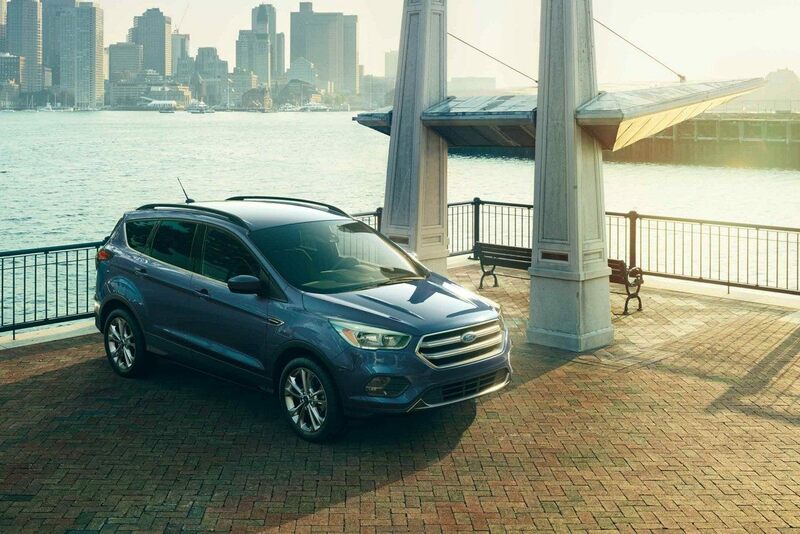 Pursue your passions in the Ford Escape! With versatile seating configurations that can easily adapt, Escape has the space you need when you find what you’re looking for! To your friends and your world with a 4G LTE Wi-Fi hotspot that allows connection of up to 10 devices. And to the road, with a suite of smart driver-assist technologies! 179 horsepower. 177 lb.-ft. of torque. This turbocharged, direct-injection engine has robust low-end torque. A 6-speed SelectShift® automatic transmission is standard on all engines. Helps optimize fuel usage during city driving by shutting off the engine at complete stops. When you release the brake pedal, the engine seamlessly restarts. You might not even notice. But you will benefit. And then some. Escape SE can tow up to 2,000 lbs. With power and capability, you can tow ATVs, dirt bikes, personal watercraft or whatever your passions are. And with trailer sway control,and 3 monitoring vehicle motions, do it with confidence. Adaptive cruise control & forward collision warning with brake support helps maintain your choice of speed and preset gaps from the vehicle in front of you. It can also alert you to a potential collision. If one is detected, the system flashes a warning, sounds an alarm, and can pre-charge the brakes to provide full responsiveness when you do brake. Drifting out of your lane? The LaneKeeping System can help. By applying steering wheel torque, and even alerting you with steering wheel vibration, it helps direct you to return to your lane. BLIS® (Blind Spot Information System) with cross-traffic alert helps warn you if it detects a vehicle in either of your blind spots while driving forward, or approaching from the sides while backing up slowly. Backing in. Parallel parking. Enhanced active park assist is a beauty to behold. It not only assists you in finding an appropriate parking spot, it steers you into it while you control the accelerator, brake pedal and gear shift knob as needed. When pulling out of a parallel spot, it provides assistance as well. Related: The Ford Escape SE is apart of our June Expat Leasing Offer, Act Now to Lock Down Pricing! Interested in the 2018 Ford Escape SE? Have a Product Specialist contact you today!